I’ve recently been sent a rather unique Scottish whisky going by the name of Glengoyne. Why is it unique? 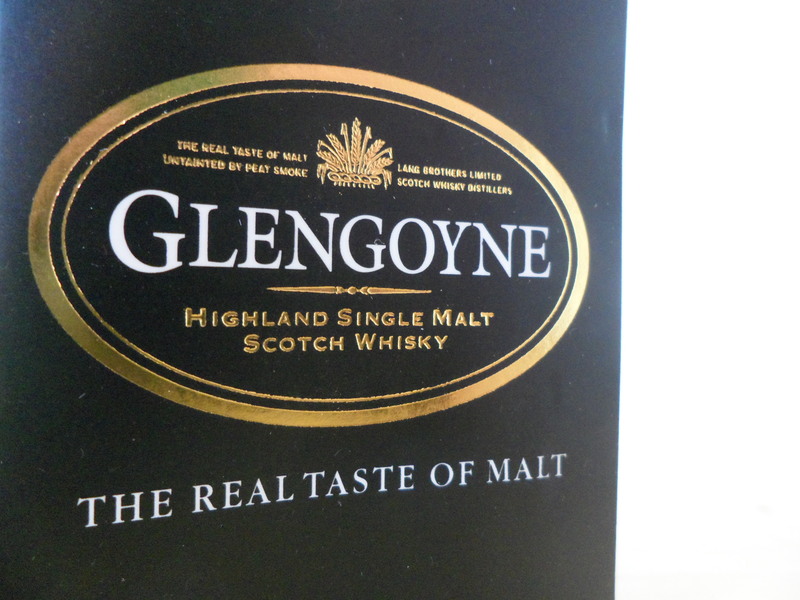 Glengoyne produces Highland single malt whisky matured in the Lowlands. Located upon the Highland Line (the division between the Highlands and Lowlands of Scotland), Glengoyne’s stills are located in the Highlands while maturing the casks of whisky rest across the road in the Lowlands. Also, unlike many malt whisky distilleries, Glengoyne does not use peat smoke to dry their barley, but instead uses warm air. This gives a more subtle, complex whisky in which all of the delicate flavours are freely allowed to express themselves. The Glengoyne Distillery is situated in a wooded valley in the southern Highlands of Scotland close to a small river that flows into the famous Loch Lomond. The distillery, which takes its name from “Glen Guin” or Glen of the Wild Geese, has been producing single malt scotch whisky for nearly 200 years. 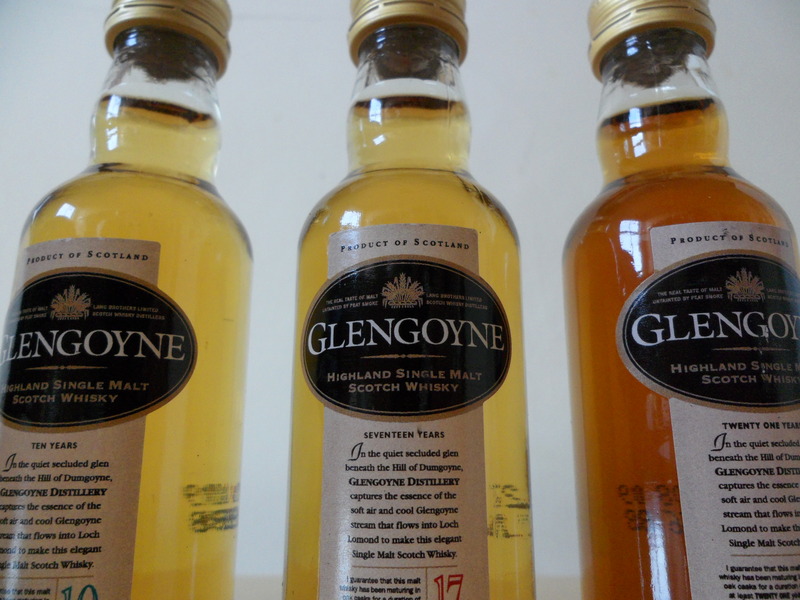 Glengoyne is one of the few distilleries producing whisky in this part of Scotland today. However at the beginning of the nineteenth century it is recorded that at least eighteen whisky stills were in operation in this area. But these, like many others at that time, were illegal. Whisky producers were forced to produce whisky illicitly as they were unable to pay the heavy taxes imposed by the government on spirit production to fund wars against France. Smuggling became rife and the hills and glens around Glengoyne formed a perfect cover for this lawless activity. It was not until the 1820’s that an Act of Parliament was passed reducing the duty on spirit and the cost of a licence to distil which put an end to illegal production. This gave rise to a rush of stills being legalised including those at Glengoyne in 1833. It is reputed that Glengoyne was one of only a few stills to be licensed in the southern Highlands due to the high quality of whisky it produced. Glengoyne, working continually since it was founded, was first-owned by George Connell who erected a distillery and took a lease on the surrounding land; he also built a warehouse which is still in use today. In 1876, the Lang Brothers from Glasgow bought the distillery and ownership still remains in Scottish hands with the Edrington Group taking over the distillery in the 1960’s and the Independent, Scottish, family owned business, Ian Macleod Distillers Ltd. acquiring the distillery in 2003. The changes in ownership have done little to affect production of this unique malt as the traditional working methods have been passed from generation to generation. A claim to fame happened in 1984 as the Lang Brothers became suppliers of whiskies to Her Majesty Queen Elizabeth the Queen Mother’s household. The Royal Warrant has since been assigned to Ian Macleod Distillers Limited and still takes pride of place on all Glengoyne packaging. A sweetness on the nose, with soft nuts and toffee mixing subtly near the end. The palate enjoys a light, fresh hit of apples with almonds and malt blending well to create a long, warm balance with slight spice to finish off. Winner of a gold medal at the San Francisco World Spirits Awards 2007. The most awarded whisky in the Glengoyne range including three golds at the San Francisco World Spirits Awards (2003, 2005 and 2007) as well as two gold in the International Spirits Challenge (1999 and 2005). On the nose you receive small hints of sherry, but a dominant hit of fruits with raisin and pear contributing well. A sweet taste of malt, with orange, slight notes of honey and treacle, and a late showing of vanilla produces a long-lasting after-taste, with a small hint of spice to finish the dram off. Awarded gold in the 2005 San Francisco World Spirit Awards, a deep sherry and toffee mix on the nose, with lots of apple, pear and red berry flavours making an appearance. The palate has a more mature and complex taste of oak and honey, with a smooth hint of cinnamon and vanilla finishing off the warmth of the dram. Three rather exceptional whiskies, and if you ever have the chance to try these yourselves, there’s no disguising why they have all won gold medals at some of the worlds most prestigious competitions. A personal favourite would be the 17yr with the sweetness of the malt, orange and treacle creating such a warm lasting feeling on the palate, enough to savor and enjoy. Glengoyne also have many others in their range including a 12yr and some special additions from 1972, 2008, 2007, 2006 and 2005. All are available to purchase here. 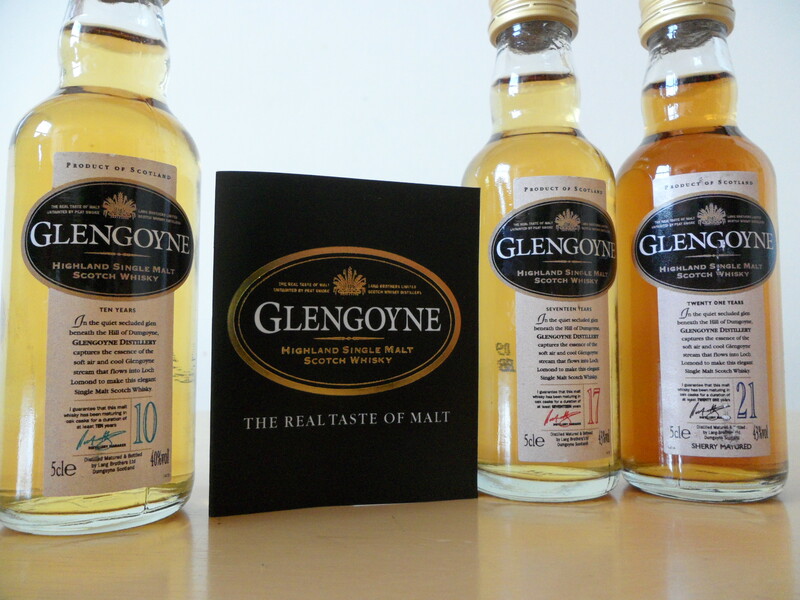 (1) History of Glengoyne is created using extracts from the Glengoyne website. Click the links page to direct yourself to the Glengoyne site. provide the users with a resolution of 360 x 640 pixels. definitely make your site gain outstanding popularity in the online community.